`A leading voice in the health industry' - Daily Express A unique, no-excuses, no-regrets body and mind revolution. 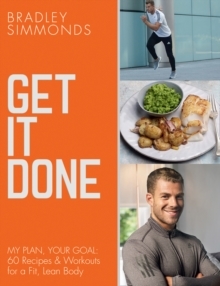 In his first book, personal trainer to the stars and Instagram sensation Bradley Simmonds reveals how to get the body of your dreams, and keep it. Do you want to shred fat, get lean, tone up, be stronger, stabilise your core and access calm and focus? Now you can, with Bradley's specially tailored food and workout plan. A method seamlessly blending HIIT, body weight exercises, TRX and weight training with delicious, filling, wholesome meals to nourish your body and quiet your mind, Bradley's uncompromising, inspiring approach means you'll thank him, and yourself, later. Featuring:* 60 delicious, quick-to-prep breakfasts, lunches, dinners, snacks, puds and even cocktails* 10+ weekly workout plans with 30+ workouts* Photos of every exercise* Full colour food shots Understand the true meaning of a great workout. Look forward to good food. Transform your body and your life permanently.